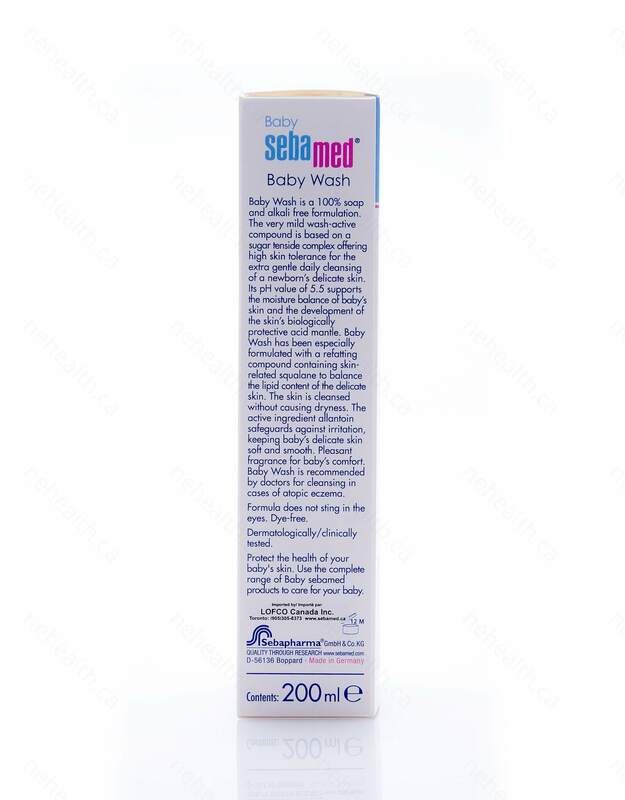 Sebamed has a line of products for newborn baby, the best protection for their delicate and developing skin from the first day on. 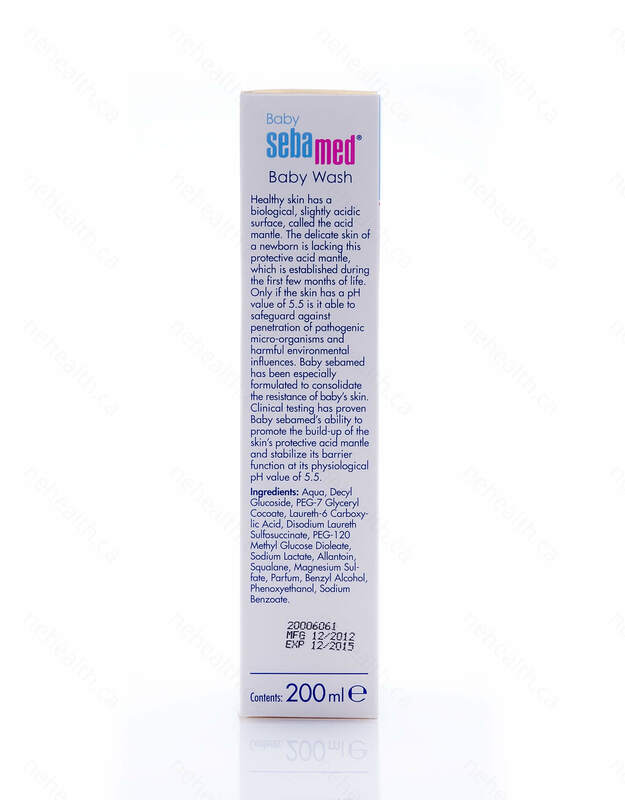 Sebamed Baby Wash is specially designed for baby’s delicate skin. It is 100% soap and alkali free and has a pH value of 5.5, a gentle emollient formula that supports the moisture balance of a newborn’s skin as well as the development of the skin’s natural acid mantle. It is important for the baby to have a skin pH value of 5.5 in order to protect them from pathogenic micro-organisms and environmental influences. 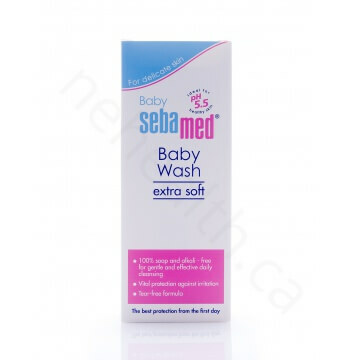 This baby wash contains skin-related squalane to balance the lipid content of their delicate skin. 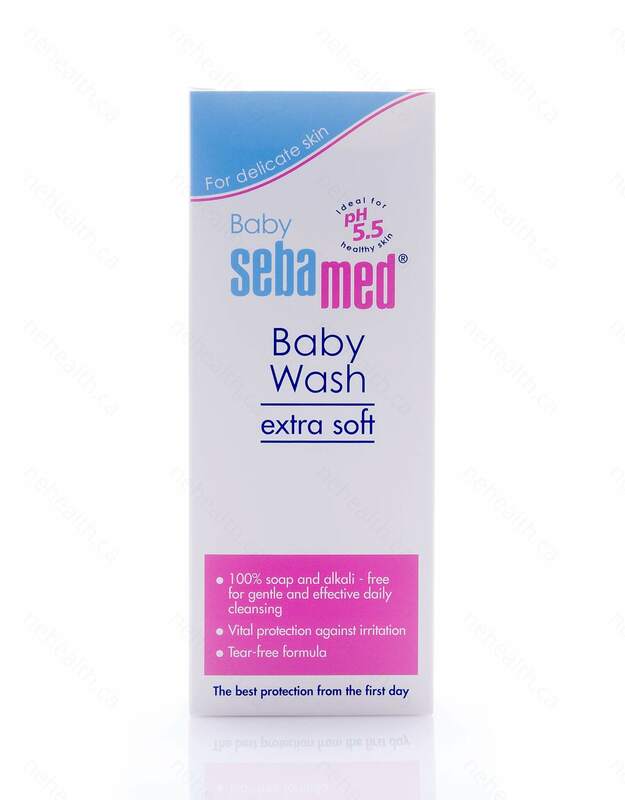 It does not cause dryness and is highly recommended by doctors for babies with atopic eczema or psoriasis. Aqua, Decyl Glucoside, PEG-7 Glyceryl Cocoate, Laureth-6 Carboxylic Acid, Disodium Laureth Sulfosuccinate, PEG-120 Methyl Glucose Dioleate, Sodium Lactate, Allantoin, Squalane, Magnesium Sulfate, Parfum, Benzyl Alcohol, Phenoxyethanol, Sodium Benzoate. Lather a small amount onto wet skin, rinse clean.